Storage and how to get it right. Make a start. 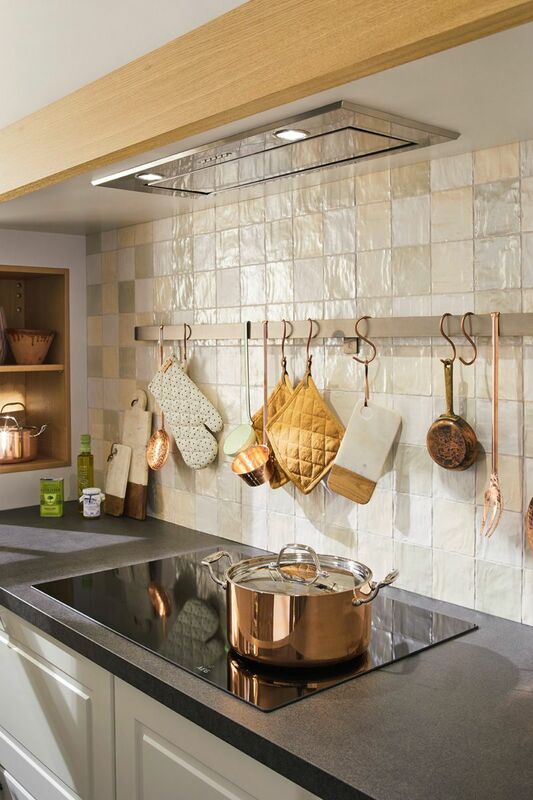 Open your cupboards and see what you use and what you need from your Ballerina Kitchen. The most important question… Do I use it? Do I love it? 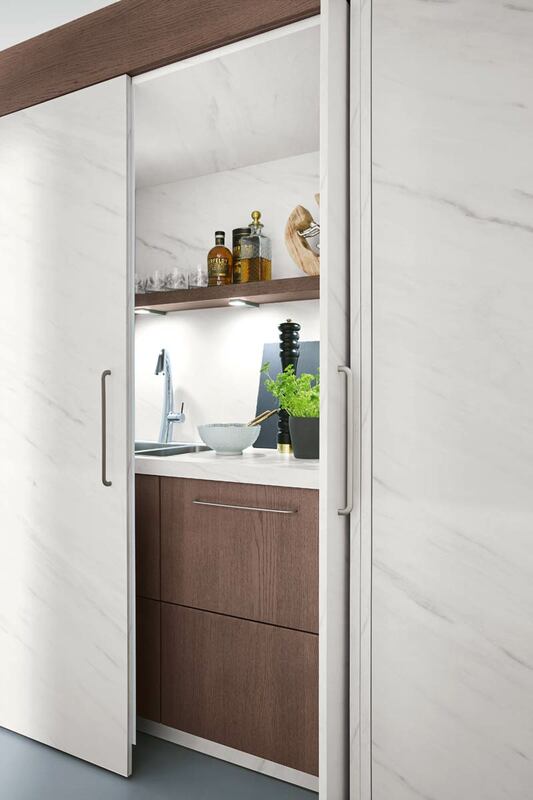 Ballerina Kitchen PUR 2651, sliding doors into storage space. Worktops. As seen in the image is an incredible way to save space. This is done by hanging utensils. Plates and other crockery can be made as a display by having them on a shelf. 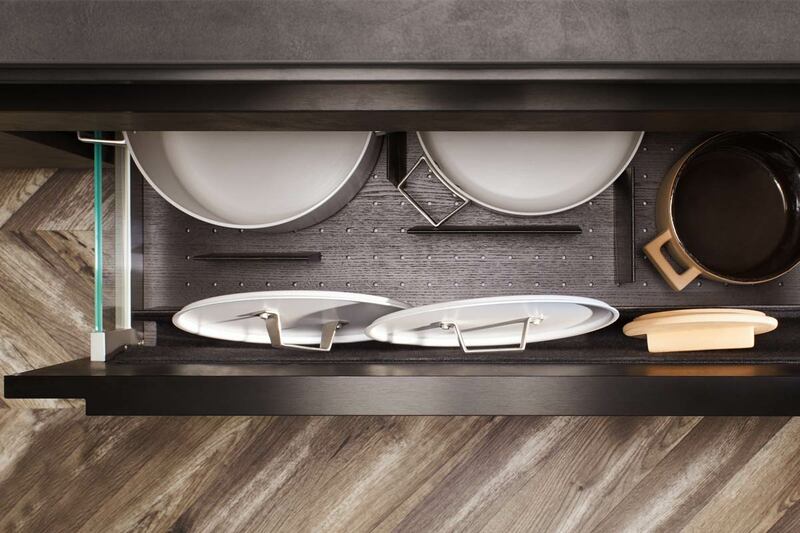 Cupboards only need a bit of engineering to make the cupboards work for you. Multi-functional. 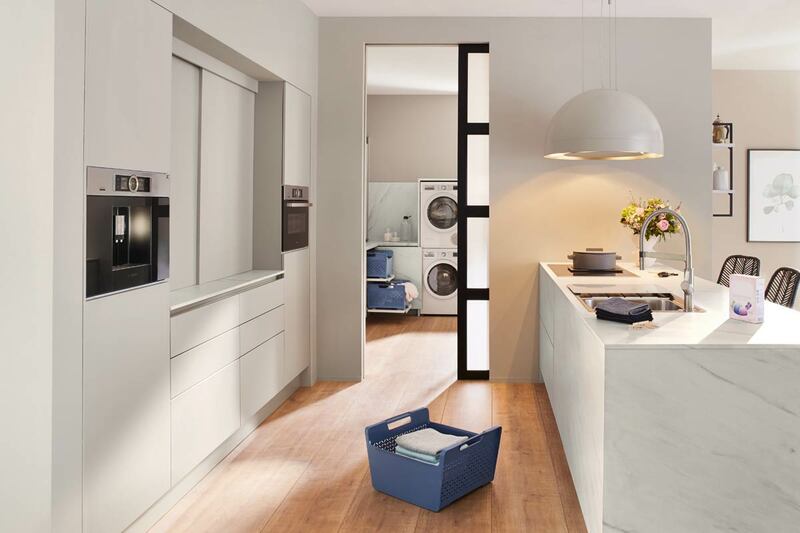 A space for cleaning essentials and laundry as well. Ballerina Kitchen works hard to help you with your everyday needs. 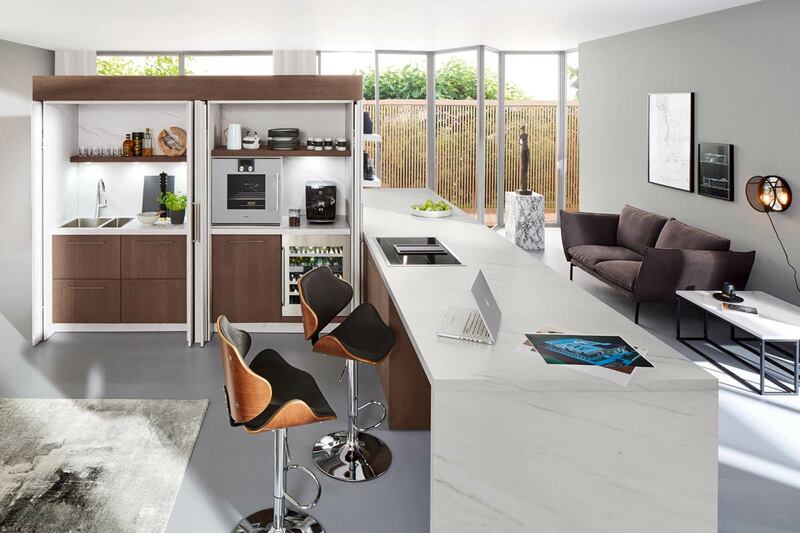 The combination: cooking and working- a noble design concept.